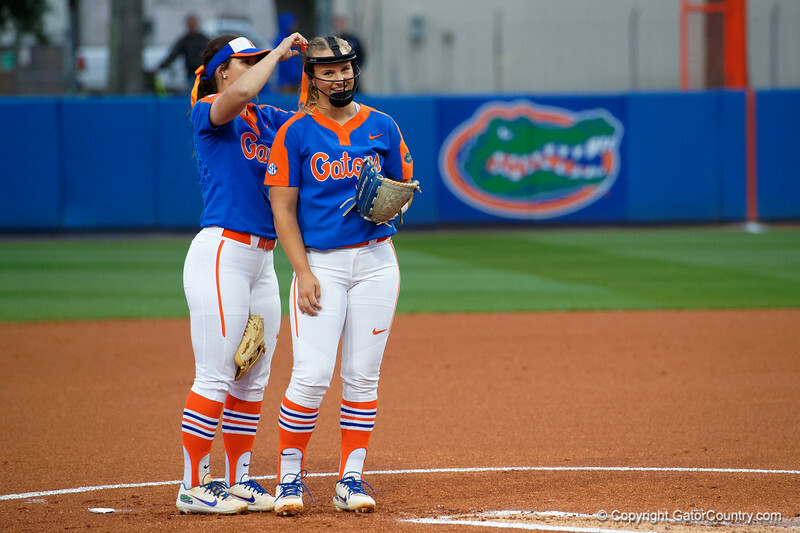 University of Florida Gators Softball infielder Nicole DeWitt comes over to the mound to fix University of Florida Gators Softball pitcher Kelly Barnhill's hair bow as the Gators defeat the #8 Texas A&M Aggies 7-3 to complete the sweep at Katie Seashole Pressly Softball Stadium in Gainesville, Florida. March 26th, 2018. Gator Country photo by David Bowie.